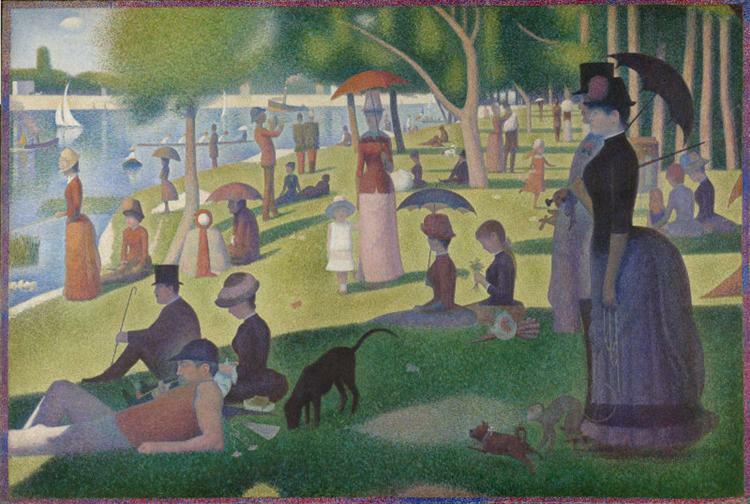 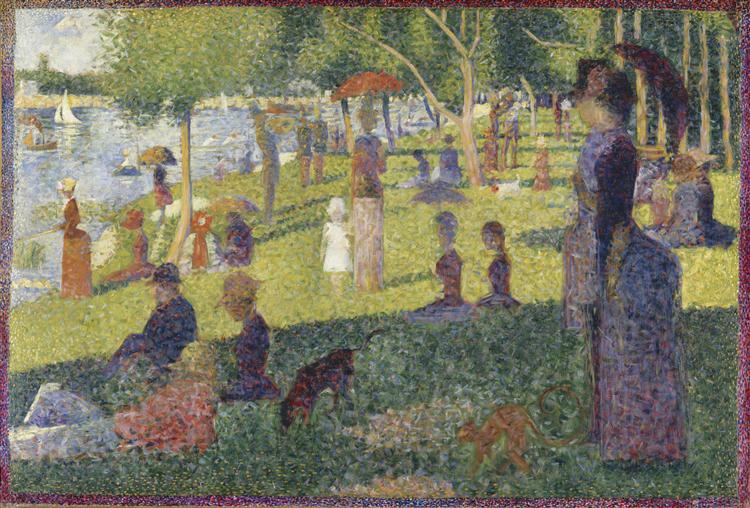 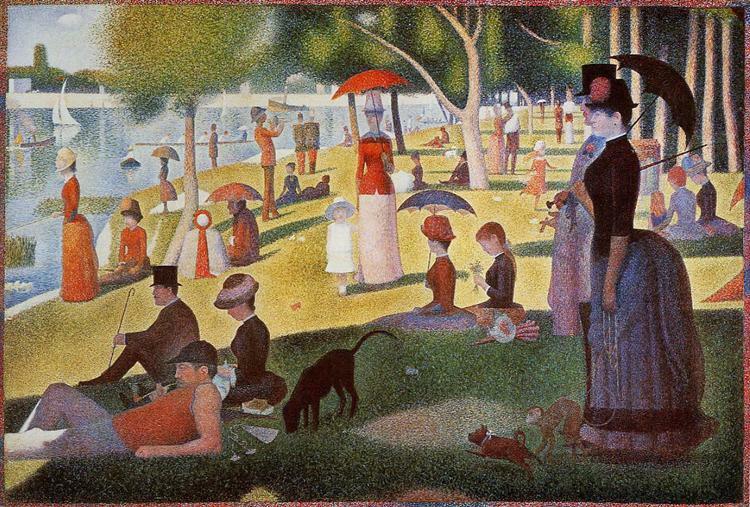 Seurat's famous painting A Sunday Afternoon on the Island of La Grande Jatte (Art Institute of Chicago) debuted at the 1886 Impressionist exhibition in Paris. 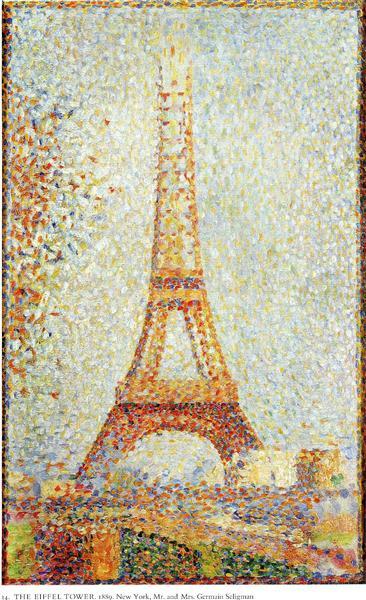 He had begun the work two years earlier, completing more than fifty studies, including this one. 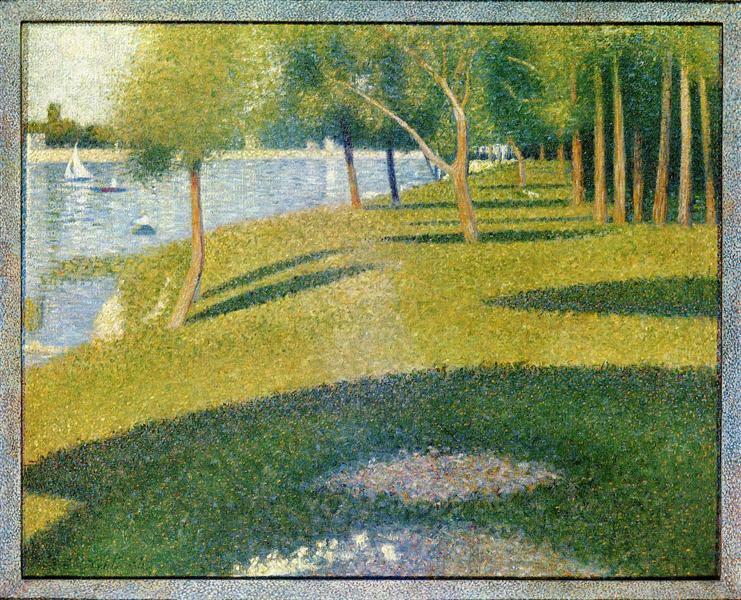 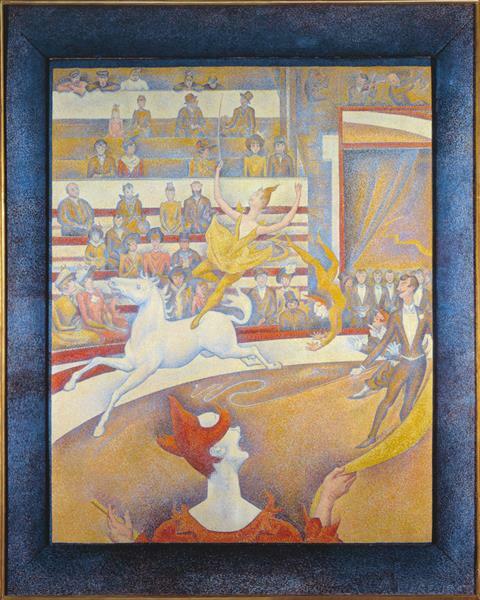 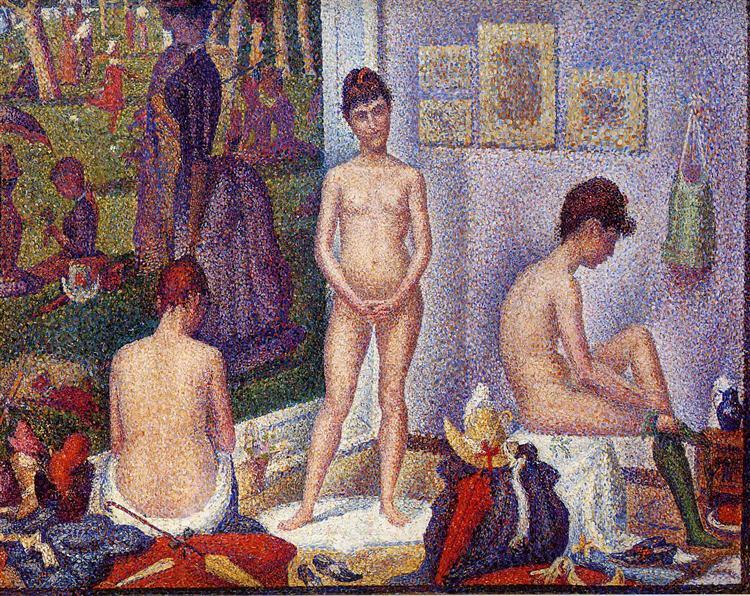 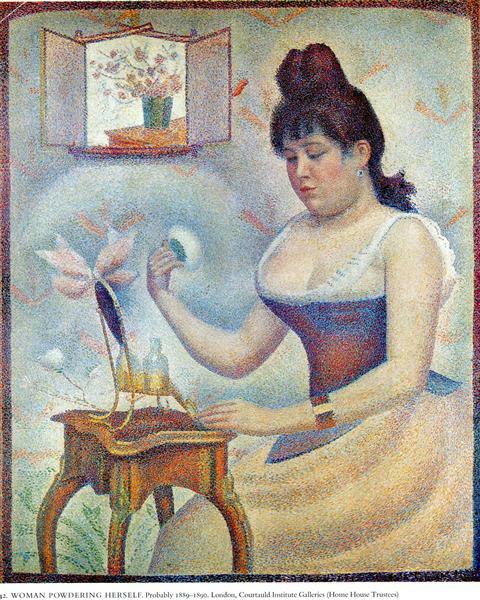 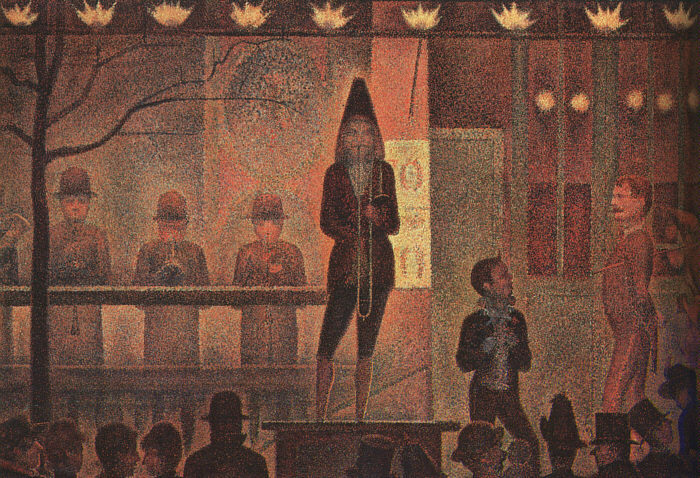 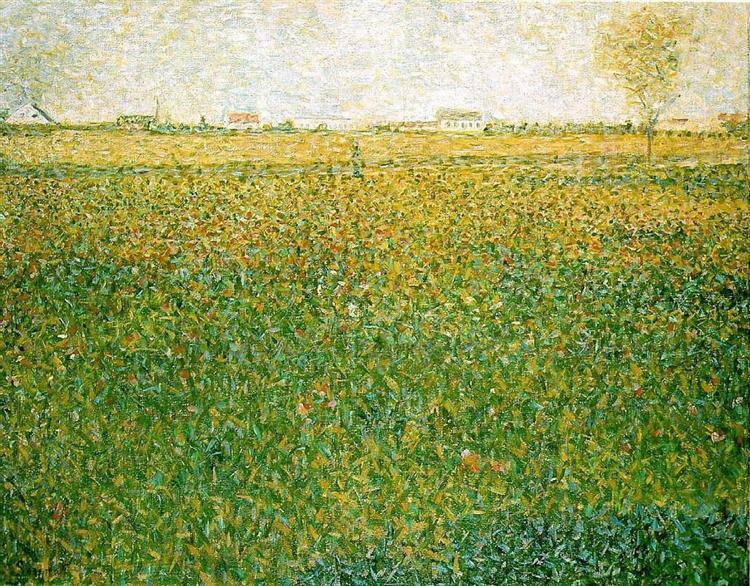 Upon Pissarro's advice, Seurat painted the final canvas with pigments that proved unstable and soon lost their luster. 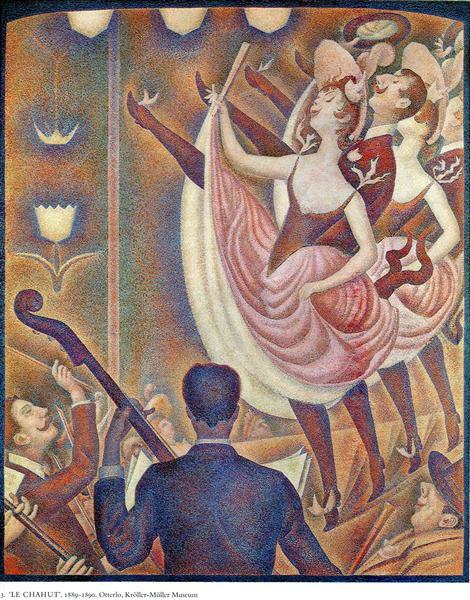 Thus the present study provides a vital record of the chromatic intensity he had hoped to achieve.